Michèle holds a Phd on “Seneca in the Spanish literature of the Golden Age”, and many books and articles on Mediterranean cultures and civilizations. Elected chairperson of the department of Spanish and Latin-American literature and civilization at the University of Limoges, she was, in 1981, appointed rector of the Academy of Orleans-Tours. Technical adviser for education at the French Presidency of the Republic (1984-85), Deputy general secretary of the Presidency and spokesperson of the President (1985-1988), member of the French National commission for communication and freedoms – CNCL- ( 1988-89), she was rector of the Academy of Paris, chancellor of Universities between 1989 and 1998. Appointed State Councilor in 1998, she was elected rector of the Agence Universitaire de la francophonie ( AUF), a multilateral agency which associates more than 800 universities all around the world, which she ruled between 1999 and 2007. After that, she was in charge of training, higher education, research, health and culture in the French Mission for the Mediterranean (2008-2012) and Interministerial Delegation for the Mediterranean – Délégation interministérielle à la Méditerranée -, DiMed (2012-2015). 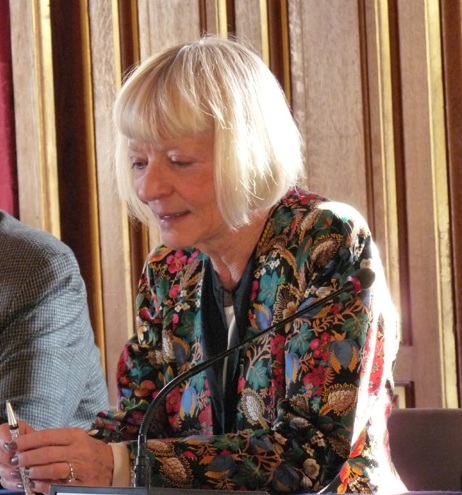 She is now Councilor of the Secrétaire perpétuel de l’Académie des Sciences in Paris, in charge of institutional relations of the Inter-Academic Group for the Development (GID).